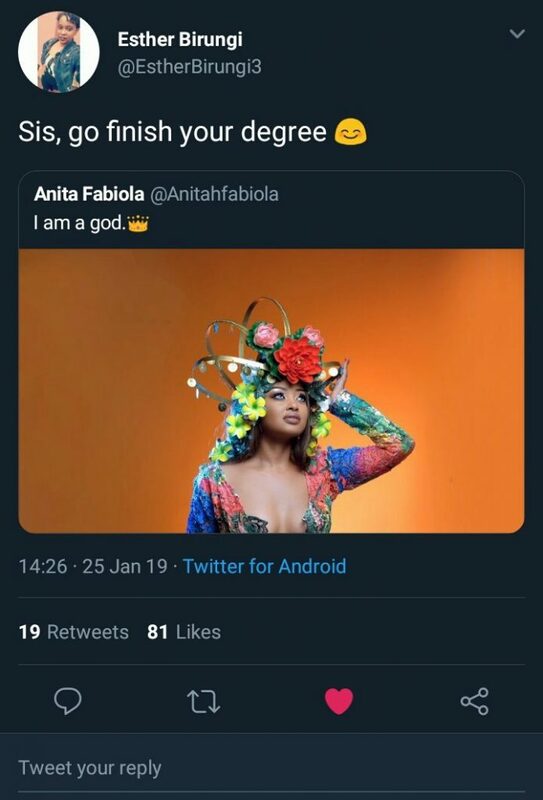 City socialite and media personality Anitah Fabiola had a very rough time over the weekend on social media following a tweet she shared calling herself a god. “I’m a god. I’m a god. I’m a god. Thank you God for this realization. Now let me do what gods do,” she tweeted. 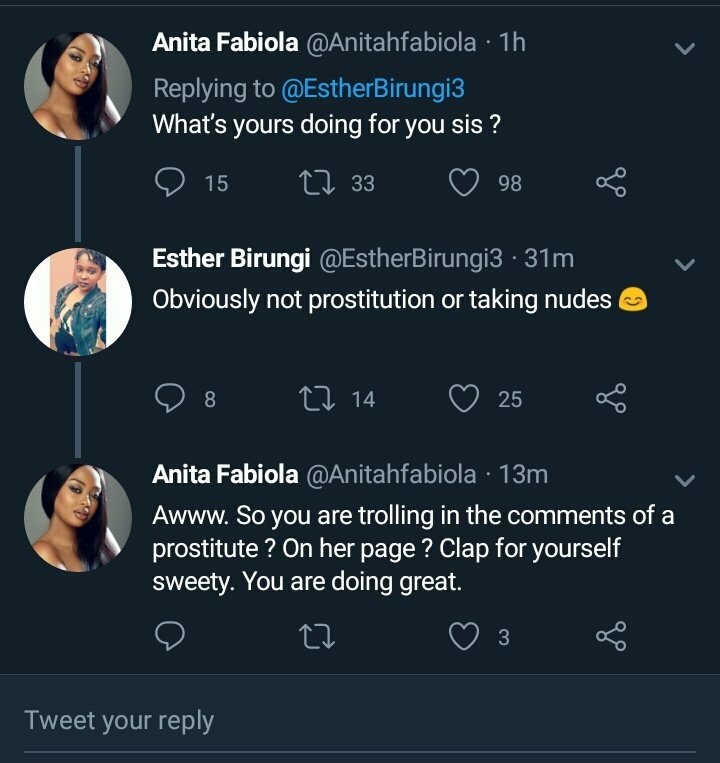 The tweet earned her nothing but a barrage of insults ranging from her nudes that leaked years ago, a dirty house that was shared by the media also years ago and a one Esther Birungi telling her to go finish her degree. The replies seem to hit have her nerves deep to a point she could take in anymore, so she hit back with a tweet asking them to do some soul searching and perhaps will believe they are gods too. “Only people that aren’t in tune with who they really are will find fault in my quote. 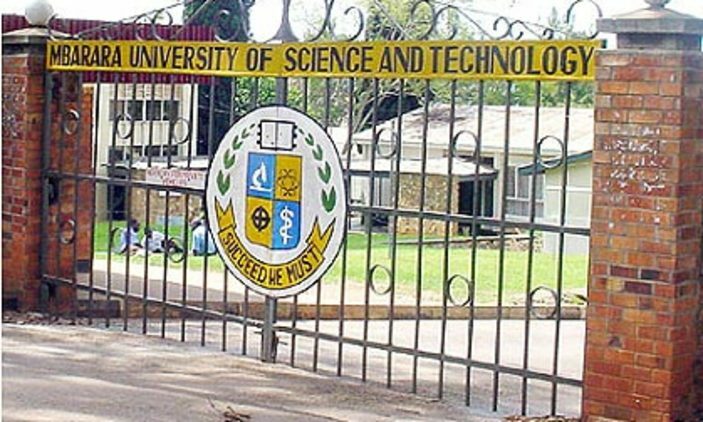 Do some soul searching and get connected to your source, then you will know & believe that you are a god too,” Fabiola tweeted.